Your heart and kidneys are two important organs in your body. They work together to keep you healthy. When one is affected, the other is too. In other words, your heart can affect the health of your kidneys, and your kidneys can affect the health of your heart. The heart is a muscle that pumps blood filled with oxygen to all parts of your body. This job keeps every cell, organ, and system alive within your body. To move blood to each part of your body, your heart relies on your blood vessels. Together, the heart, blood and blood vessels make up a system called “the cardiovascular system.” Think of it as a delivery system. The delivery system moves blood from the heart carrying oxygen and nutrients throughout your body and also picks up waste products so that your body can get rid of them. How do the kidneys and heart work together? The heart pumps blood filled with oxygen through all parts of your body, including the kidneys. The kidneys clean the blood, removing waste products and extra water. Without the kidneys, your blood would have too much waste and water. Without the heart, your kidneys would not have the oxygen filled blood needed to do its many important jobs. Without the help of your kidneys, the heart would be working too hard or would not function at all. A healthy functioning cardiovascular system is important for your kidneys to their job. Researchers have been working to understand the clear relationship between kidney disease and heart disease. When your heart or kidneys cannot function normally, it can lead to cardiovascular disease (heart disease) or kidney disease. It is important to know that having kidney disease can directly affect your chances of developing heart disease. Having heart disease can directly affect your chances of developing kidney disease. In fact, kidney disease and heart disease share many of the same risk factors, such as diabetes and high blood pressure. These tips can help keep your kidney and heart health on track. You should always speak with your healthcare provider before making any changes to your diet and lifestyle. A good way to keep the heart and kidney connection in mind is to remember, what is good for your kidneys is good for your heart. Keeping up the health of your heart is good for the health of your kidneys. What if I already have kidney disease? 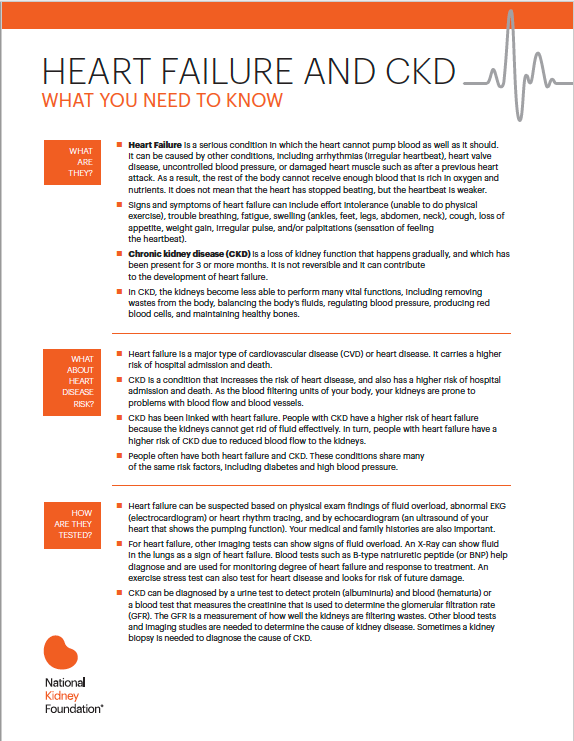 People with kidney disease or kidney failure are at risk for heart disease. Working with your healthcare provider and dietitian will help you find a lifestyle that can lower your chances of getting heart disease —or help keep heart disease from getting worse. 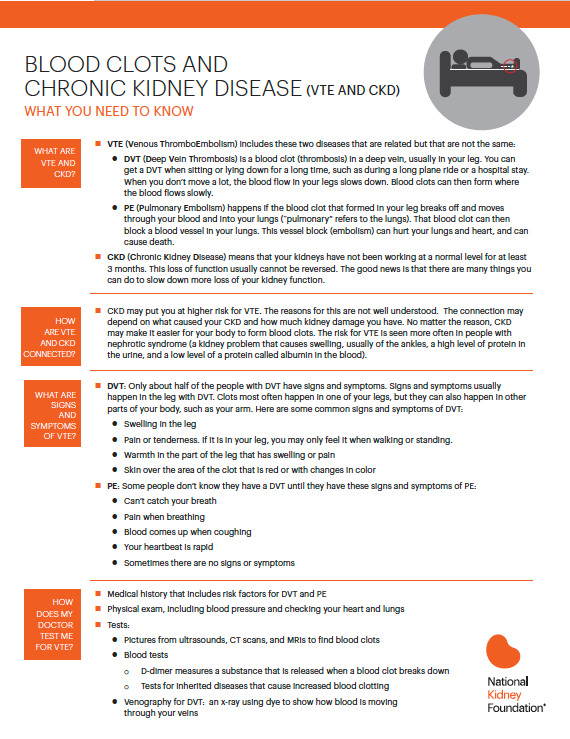 If you are on dialysis, you can read more about tips on heart health and dialysis here.